“I am deeply saddened by the death of my friend Albert Frère. Albert was an extraordinary man and a truly exceptional entrepreneur. Throughout our thirty-five years of faithful friendship we forged extremely close ties, both personal and professional. Beyond his innate business sense, I will always remember Albert’s passionate love of life, his great skill in unifying people and his tremendous commitment to everything he undertook to accomplish. I was able to appreciate his extraordinary talents firsthand when we together became the felicitous owners of Château Cheval Blanc in 1998. 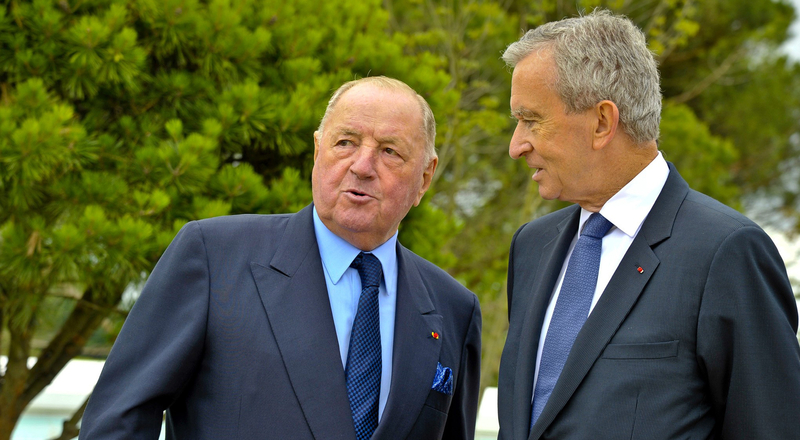 I want to extend my heartfelt condolences to his wife Christine, and to his children and grandchildren.” declared Bernard Arnault, Chairman and Chief Executive Officer of LVMH group.